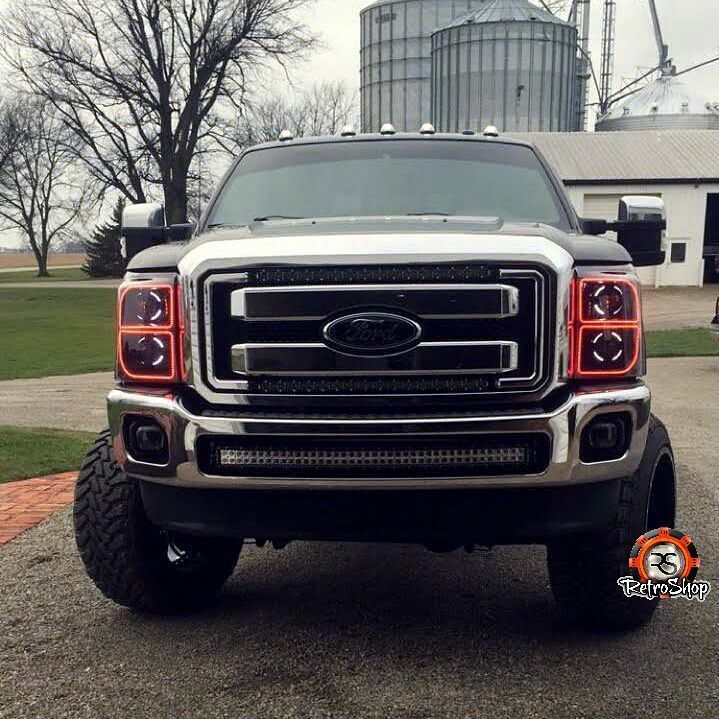 The one stop shop for custom SuperDuty lights! 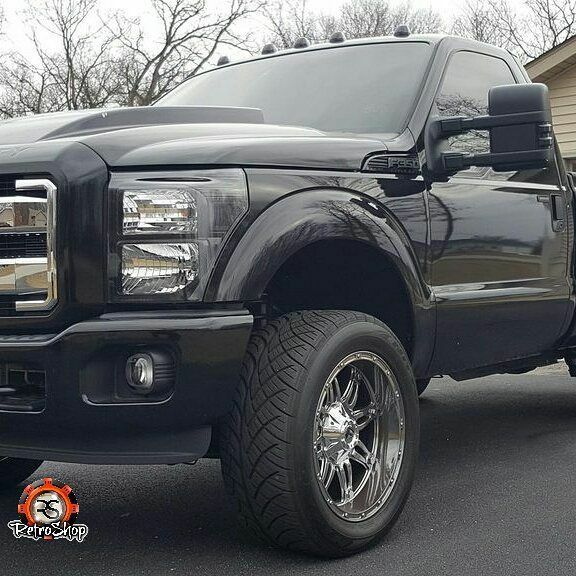 This light building tool features each of our options for the 2011+ Super Duty lights. Continue reading to see details on each option, and as always - if there are any questions, don't hesitate to contact us. 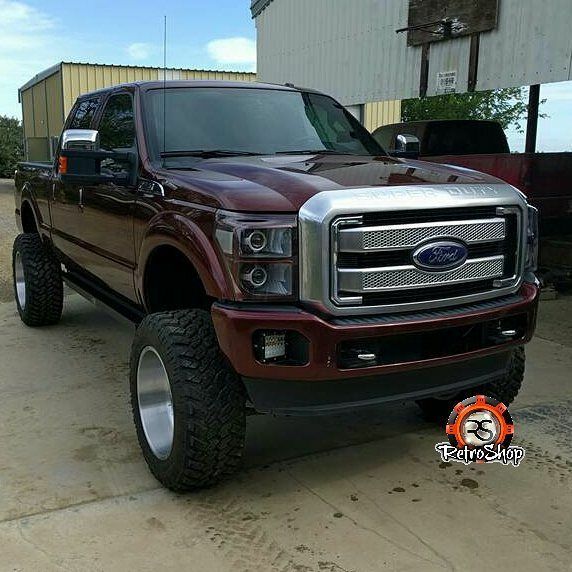 Please note, this tool is exclusively for the 2011+ Ford SuperDuty headlights. 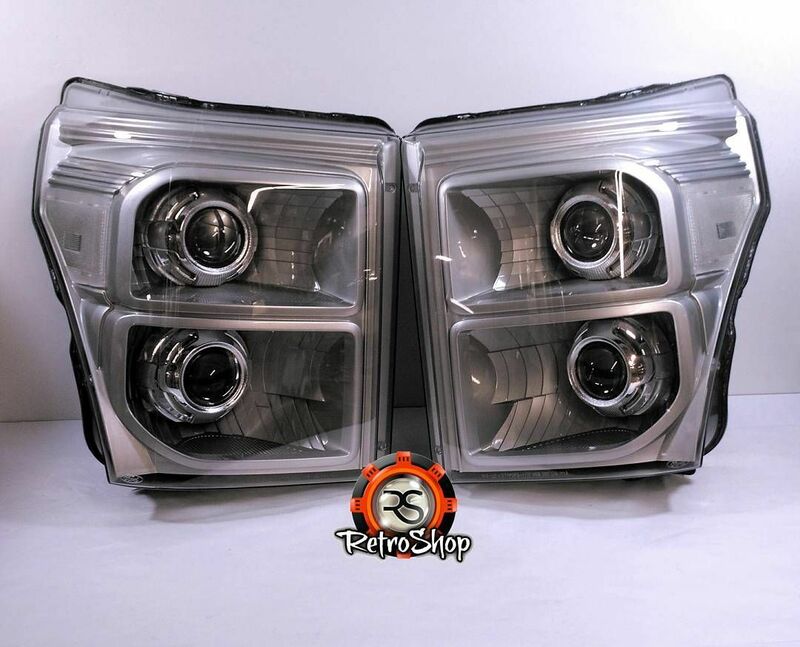 The base cost of the lights includes the labor for us to open your headlights, remove the orignal sealant, reseal with retro rubber, and ship the lights back to you in continental US (shipping is available to anywhere in the world, if your country isn't listed during checkout, please contact us for a shipping quote). From here, each option is listed, so you can fine tune the lights to your needs. 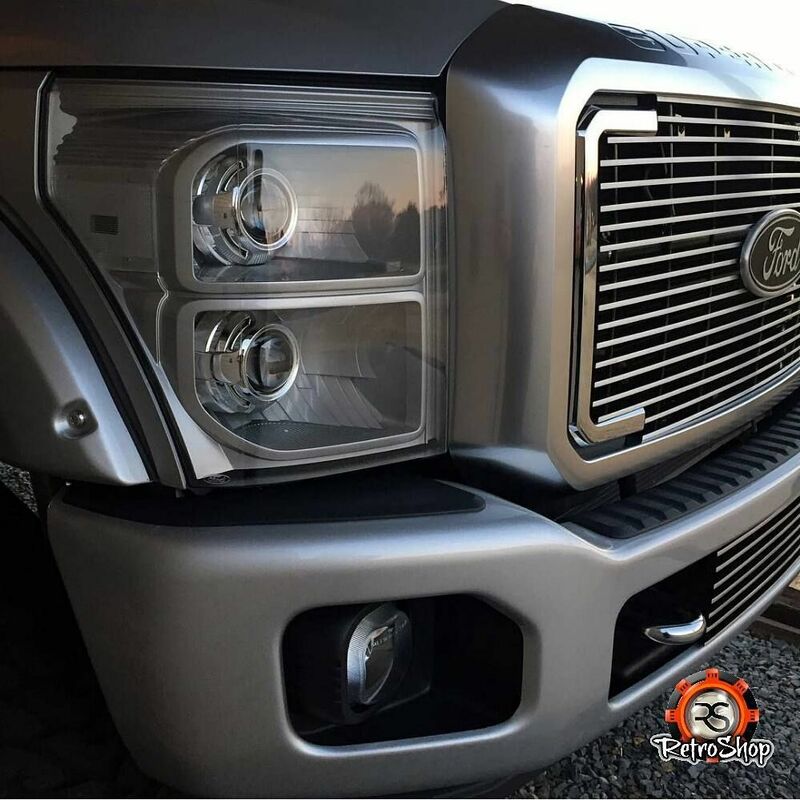 In this section you can select to send in your headlights, or we can start with a set of OEM Ford headlights. I do not recommend using replica replacement lights for these builds, I have yet to find a good set! Here, we can paint the lights to fit the style you are after. At RetroShop, we have a full time painter on staff, Dave (our painter) has over 20 years experience in the automotive paint industry and has painted over 1,000 sets of lights for us. 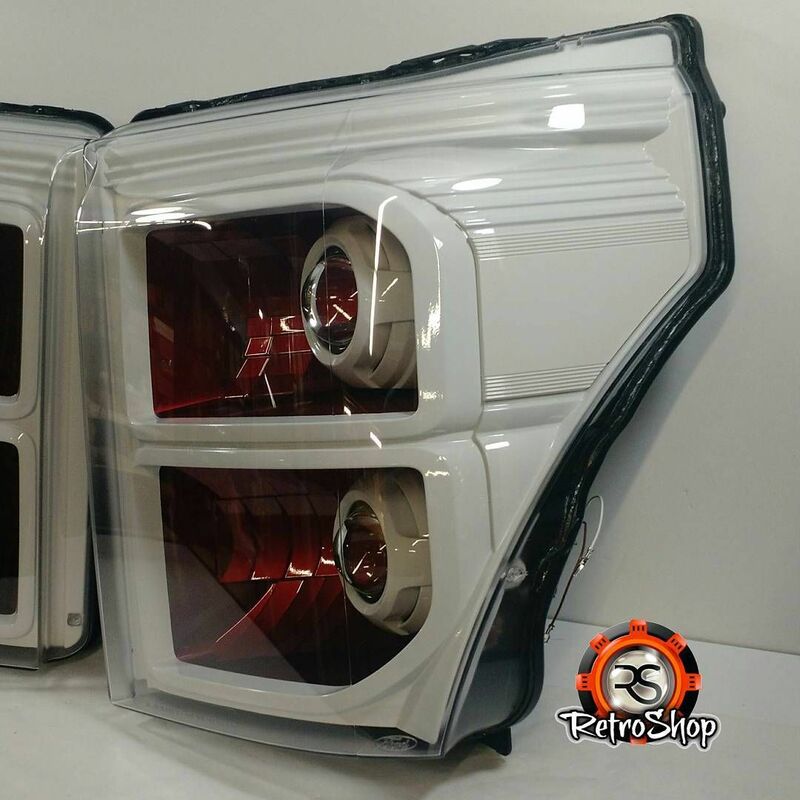 We only use automotive grade paint / clear, just like what is used on the vehicle from the factory. We do NOT use spray cans, rattle bombs, etc. We do not use "VHT" or any other inferior products on our builds. Each part is media blasted for proper paint adhesion, primered, base coat / cleared, and buffed. We have many options on paint, and can get them exactly how you'd like yours. Clear corners can be tinted as well, for those that really hate to see the amber! RGB Round on the front of the shrouds - RGB halos will be added to the fronts of the projector shrouds, and are controlled via remote. These halos will come with a RF remote control to set the colors (7 standard, and the ability to dial in a color and set it as a preset). 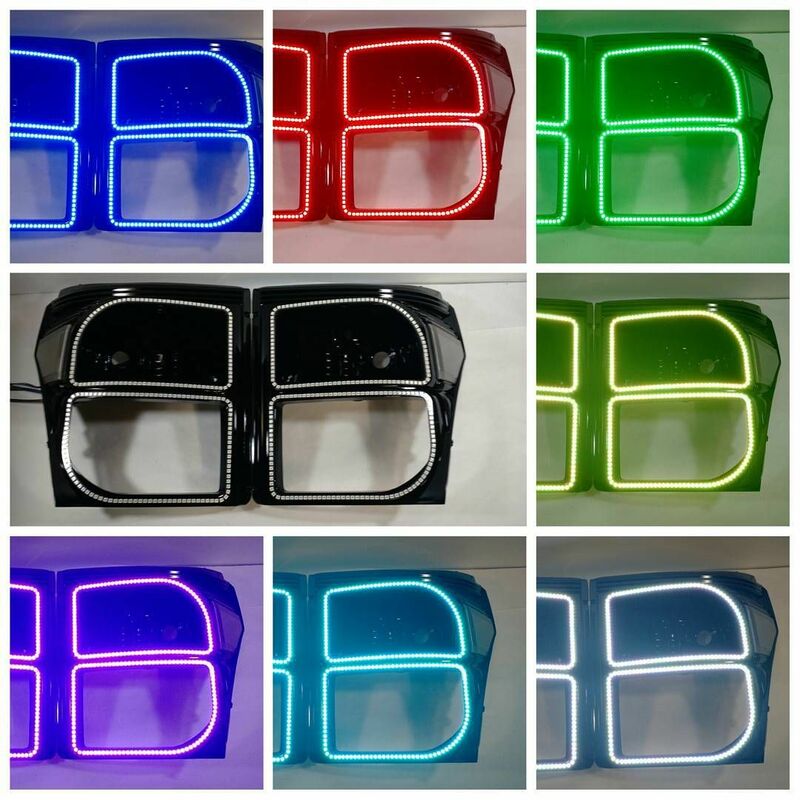 These halos will require a 12v power source, though most will splice to the parking lights on the truck (just remember, most colors may not be legal for on road use). 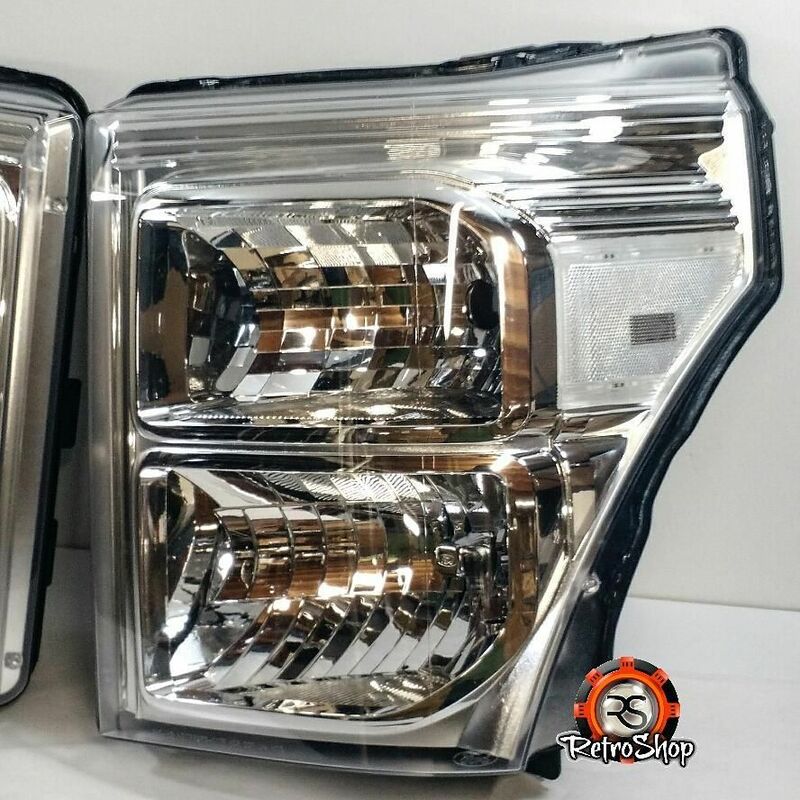 In this section you can upgrade the light output from the stock halogens. 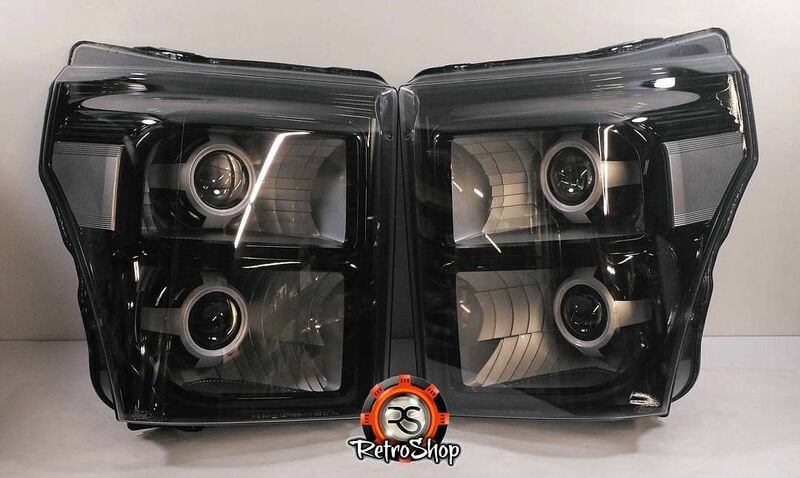 We have a few options, a drop in kit (which consists of a set of bulbs, ballasts and wiring (of your choice) for the stock reflector housings), or a projector retrofit, which will give you the ultimate in light output - without blinding oncoming drivers. Whew, lots to take in! Each set is built to YOUR specifications and needs! Please, again - if you have ANY questions whatsoever for your build, don't hesitate to reach out for assistance! Our contact info is found at the top of the page under the "Contact us" section.